Moodle. Most students are familiar with it — and many professors use it for a variety of reasons, such as teaching online courses or logging grades. However, most don’t know exactly what Moodle is or how it works — or sometimes, doesn’t work, as was the case recently. On June 23, an email was sent by Information Technology Infrastructure Director Rob Greggs to students and faculty when a problem was noticed with Moodle’s file submission system, which caused the program to not accept files. Greggs said Moodle saves files on a cloud-based application, and the cloud was not working properly. Cloud storage is a method of saving files and data on remote servers controlled by a third party, instead of on your own computer or a bulky external hard drive, Greggs said. He said the cloud is extremely important to Moodle working properly. “We don’t directly host the Moodle service. The Moodle service is hosted in the cloud. 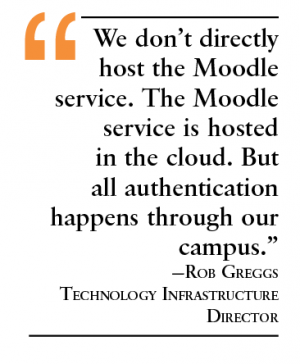 But all authentication to Moodle happens through our campus. He said the Moodle servers experienced a “distributed denial-of-service” attack, or DDoS attack. Because of this, Greggs said, the problem had to be solved by the service provider. “We try to ensure that Moodle is being communicated with about the problems their users are experiencing, that we, on-site, are doing everything we can to facilitate a resolution with Moodle and with the Center for Learning and Teaching and with the OCCC staff,” he said. The email Greggs sent to students stated once the problem was diagnosed and a resolution was complete, everyone would be notified when Moodle was back online. “Moodle took actions that supposedly mitigated the problem, or alleviated some of the symptoms pretty quickly, but we could not confirm with Moodle that it was resolved quickly,” he said. Almost two full days later, students were notified of the fix, Greggs said. He said the problem was actually fixed quickly but some time elapsed afterwards before OCCC was notified. However, the outage still created a bind for many classes relying on the service for its file submission for homework and lectures, Greggs said. Psychology department chair Jeff Anderson said he uses Moodle for his classes, but reported no problems because he has a backup plan. “I did not have any issues,” he said. Biology professor George Risinger said while he was notified of some problems, they ultimately did not cause his course to be disrupted. “I received a few emails from a couple of students who were in the middle of exams when the problems began,” he said, “but all of those issues were easily remedied. Mathematics professor Daniel Benton said he and many other math professors had no problems, because they rarely use Moodle at all for their classes. Benton said Pearson’s MyMathLab and McGraw-Hill Connect are some of the programs used in place of Moodle. He said the alternate programs used depend on the publisher of the textbook used for each class. He said these programs are used because Moodle simply does not work as a mathematical program. Benton said the math department has always questioned how effective required online training for Moodle has been. “Some people saw it as a bureaucratic waste of time that involved learning stuff about Moodle that we’re never actually going to use,” he said. Greggs said because many professors do rely on Moodle, it is important that it runs properly, and that any issues be resolved quickly. “I think it is a critical part of the academic resources and learning system that is represented at OCCC,” he said. “It is our Learning Management System, so it is a critical part of all of our learning process at OCCC. “For every class that exists at OCCC, there is an online portion,” he said. Every class section must be registered on Moodle and have an official page, Greggs said. However, he said, many professors use it only for taking attendance or submitting grades, and leave the sections for class handouts and tests untouched. He said, for other professors, it is the most essential classroom tool. Some upload every handout to Moodle, as well as provide PowerPoint presentations there of every lecture. Greggs said many professors also rely on Moodle for submission of homework or testing through Moodle’s test modules. With the exceptions of any classes using McGraw-Hill Connect, online classes run specifically through Moodle, he said. Those classes use Moodle forums for class discussions, as well as homework and tests being specifically submitted through Moodle. Greggs said Moodle is normally fully operational and that lapses in functionability, similar to what happened on June 23, are rare. “I wouldn’t want to speak to the specific occurrences, because I don’t have the records in front of me, but it is very rare that we experience some type of systemwide outage with Moodle,” he said. “The initial reports were that students and faculty members were having difficulty submitting files to the Moodle cloud system,” he said. 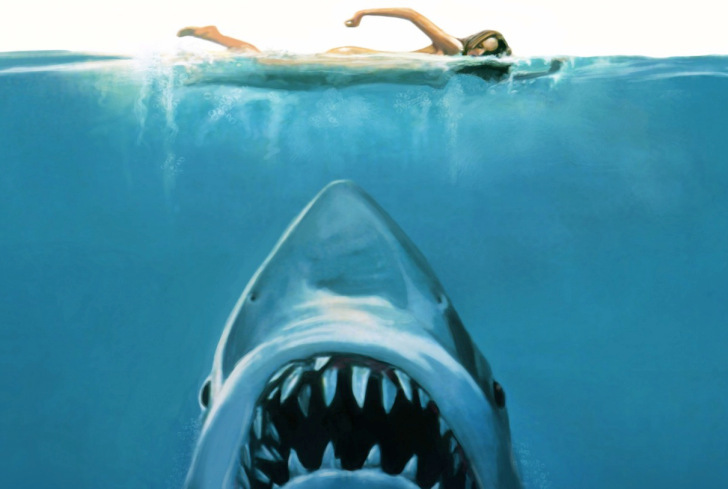 “We notified Moodle as soon as we were aware of the problem. Technical Moodle issues can be reported to Information and Instructional Technology Services at techsupport@occc.edu or by calling 405-682-7777. To contact Greggs, call 405-682-7877 or email rgreggs@occc.edu.